Today in Masonic History Richard Caswell is born in 1729. Richard Caswell was an American politician. Caswell was born on August 3rd, 1729 in Joppa, which was part of the Province of Maryland. At the age of sixteen, he moved to the New Bern area of North Carolina. Shortly after arriving in the New Bern area he became a member of the North Carolina colonial assembly. In 1762, he served in the colonial assembly for seventeen years, he put forth a bill to create the town of Kingston, which later was renamed to Kinston, North Carolina. During the Regulator Movement, also known as the War of Regulation, Caswell was an officer in the local militia. The Regulator Movement had many of the same issues as the American Revolution and was fighting against colonial officials. Although the Regulator Movement ended almost five years before the American Revolution, many historians have the opinion that the American Revolution might not have happened without the Regulator Movement. From 1774 to 1776, Caswell represented North Carolina in the Continental Congress. In 1776 he helped to draft the North Carolina Constitution as part of the provincial congress. 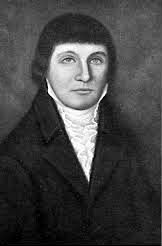 In January of 1777, just as the provincial congress was adjourning, Caswell was elected as the first Governor of North Carolina. He remained Governor until 1780 after he served his three consecutive terms allowed by the new constitution. During his term, Caswell pushed for public education and got the state legislature (General Assembly) to vote to use reimbursement funds given to North Carolina by the British Crown for efforts during the French and Indian War, to establish a public school in every county of North Carolina. The speech he gave to the state legislature was cited by later governor and politicians who argued for more public education. In 1780, after leaving office, Caswell became a major general of the North Carolina militia. At the battle of Camden Caswell's troops fled when the Virginia militia lines broke leaving Camden's troops largely defenseless. This left the Continental Army behind to suffer a defeat. From 1785 to 1787 Caswell served a second time as Governor, this time serving as the 5th Governor of North Carolina. He also served again as a member of the state legislature. Caswell passed away on November 10th, 1789. Caswell was a member of St. John's Lodge No. 3 of New Bern, North Carolina. He also served as the second Grand Master of the Grand Lodge of North Carolina from 1788 to 1789.